Due to the reason that more than 40 million people in the EU do not own a bank account, in April 2014 the European Commission decided that anybody in Europe should be able to open up a bank account. The EU's mills grind slowly, too slowly, thinks the federal government. The payment accounts law was therefore changed in october, and from the 1st of June 2016 onwards, anyone will be able to open an account on a credit basis. At a rough estimate around 670,000 Germans do not have a checking account. The refugee issue also reaches into the financial sector, as the new law significantly shows. In 1995 the German banks had committed themselves to offering an account for anyone, a credit based account. The savings banks did this, in spite of their public service mission, only in 2012. But the fact is that the account for anyone, or „citizen's account“ wasn't available for anyone. The federal government spoke of the account establishment as of “social political cherry-picking”. Despite commitment, there has always been a reason to refuse to open an account. We highly recommend the modern bank: number26. This rather young bank offers an outstanding product. You register directly via your smartphone and don't need to visit any office anymore. The banking app is fully available in English. The bank account is absolutely for free and can be used globally. With the new law, the federal government considers all people in Germany a potential target of the group “Bank Customer”. Whether homeless, asylum seekers or even people who are tolerated without an asylum decision, but who can't be deportated there is an “account for all” for everybody. A government spokesman rewrote the subject „asylum seekers“ by saying that whoever is covered by the Geneva Convention may open an account in Germany. Anyone who is lawfully residing within the European Union has a right. By doing so, the government does a lot more than what is expected by the proposals of banks and savings banks themselves, but also far beyond what the EU Commission demands. Now, banks will argue that opening an account can only be possible with proper legitimacy papers. This requirement can't be fulfilled by many of the refugees who have arrived in Germany. Again, the government has created a simple control remedy with its new act. If an applicant does not own a passport, the document that has been emitted by the relevant asylum-determining authority is enough. A facilitated opening process applies for the basic account. And if the bank refuses an application? The government is serious about its implementation. Banks can no longer refuse an application. If the account application comes along with the legitimization papers or the documents by the asylum authority, the institutions have ten days to open the account. If not, they may be forced by the BaFin to do so. A bad Schufa is not sufficient as a ground for refusal, since it does not apply in the case of a refugee. There must be facts such as proven credit fraud in the home country to refuse to open an account on a credit basis. The procedure related to money laundering is not affected by the opening of a basic bank account. In this respect, banks and citizens can stay completely unconcerned. Is the basic account for free? It is a decision of the banks whether they want to charge fees for this basic account. However, the fees need to be about the same as other fees that the company applies to other accounts, so the government. Moreover, there is an enhanced disclosure obligation. The banks and saving banks must provide their customers with annual information on their terms. The federal government also plans to set up websites where potential bank customers themselves can easily compare the terms. 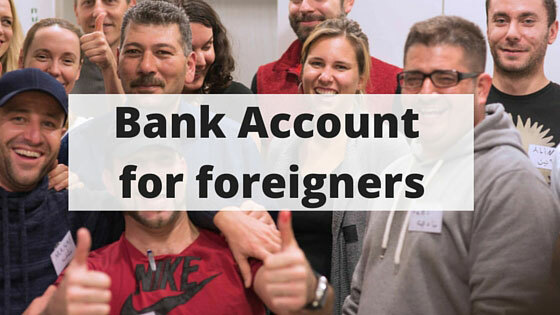 Especially people from abroad who have come to Germany more or less involuntarily, will be able to orientate on these websites and won't run the risk of opening an account with an institution that applies marginal costs.